The Winkler Operator Knife means business. Master bladesmith Daniel Winkler has been fine-tuning his craft ever since he started making knives in 1975. 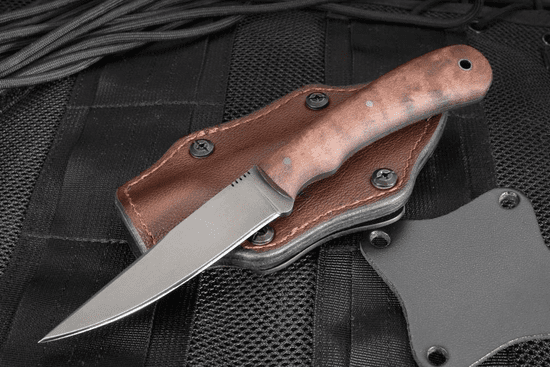 His creations have been on screen (beginning with the movie Last of the Mohicans) as well as on the battlefield, as Winkler knives have earned a place among US Special Forces operators for nearly 20 years. From tomahawks to everyday carry blades, Winkler knives are proudly made in Boone, North Carolina and have been the standard other knife makers have held themselves to in comparison for decades. The Winkler WK Operator comes from a pedigree of effective combat knives used by US Special Forces in their fields of operations. The WK Operator might not look like a bulky, saw-backed, Rambo knife, and that's because it isn't. 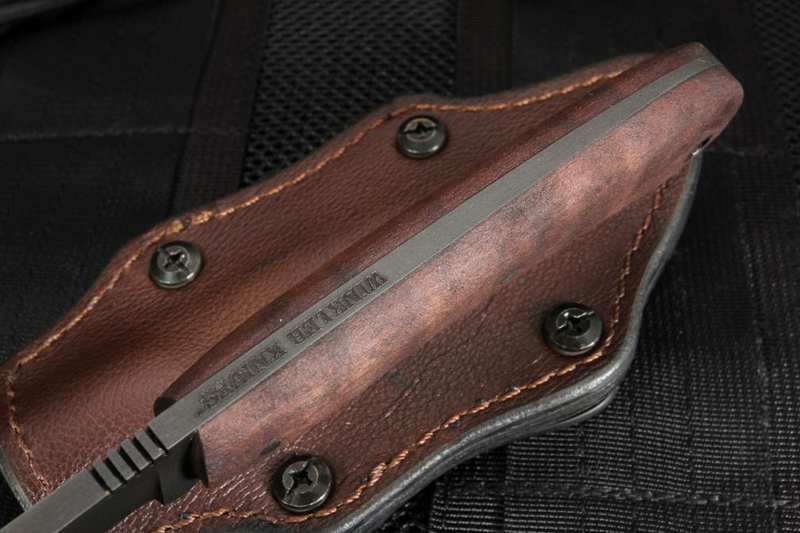 The WK Operator is an 8.5" long multipurpose tactical knife designed with strength as well as finesse, making it as reliable on the battlefield as it would be in your hand on a campout. The Operator gives you a fine point when you need it, and full-tang construction means it can handle the big jobs too. Hunting, cutting rope, wood, and work that would wreck most knives, but the precision to clean a fish or remove a splinter. The filed thumb grooves give you grip and power, as well as the ability to choke up on the blade for finer detail work. At 8.5" overall with a 80CRV2 carbon steel black caswell finish blade, (with a Rockwell hardness of 61), this knife is strong yet flexible and easily takes a razor-sharp edge. Made from .19" stock with a 4" blade with a flat ground 3.75" cutting surface, this tapered full tang fixed-blade knife features a distal tapered point for ease of penetration and detailed cutting work. Jimping on the back of the blade gives you added grip and control for precision and comfort, while the beautifully finished Maple and Caswell handle fit comfortably into your hand for long periods of use. A lanyard at the end of the handle gives you options for carrying as well as paracord improvisation as well. 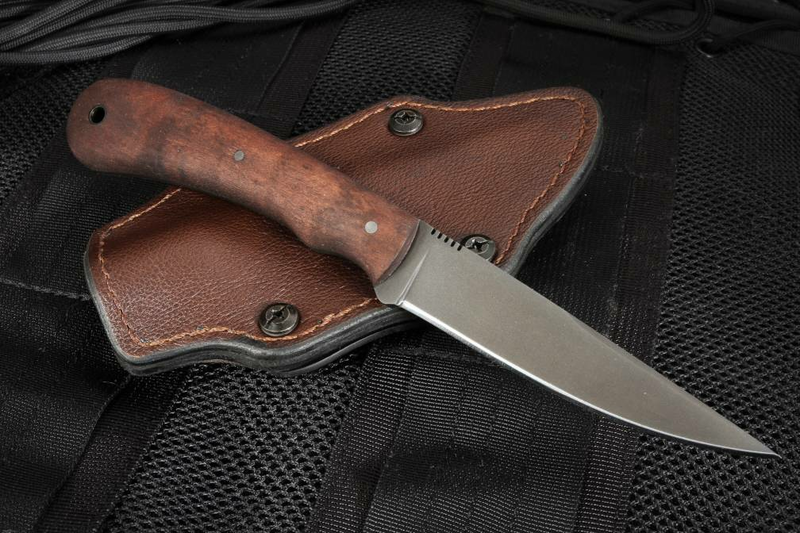 At 4.45oz, this knife won't weigh you down and the included leather sheath allows for vertical as well as horizontal carry. 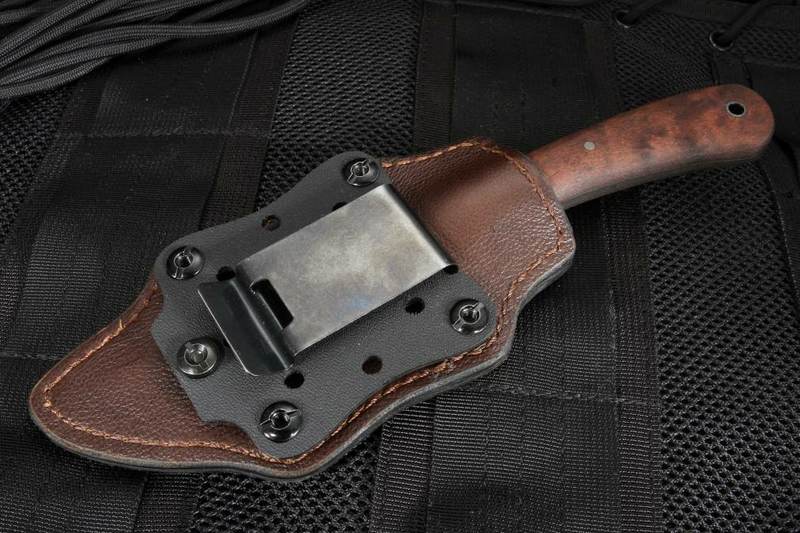 A multi-position sheath lets you carry it to best suit your needs - it comes with a metal clip, a multiposition belt loop and a leather attachment. 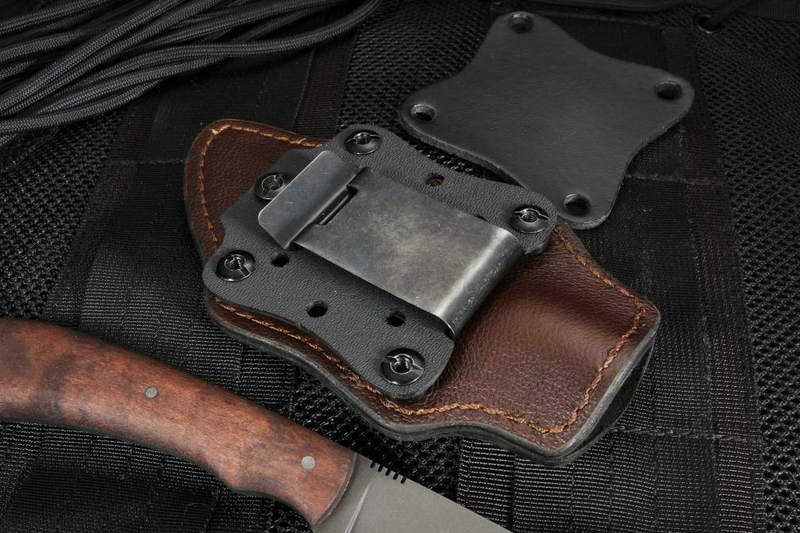 The sheath is made from an exterior of brown leather, a structure of molded kydex and felt lining so the knife is removed from the sheath in silence. Winkler knives are American made and each knife comes boxed with a quality control certificate, hand-signed by two separate inspectors. As an authorized dealer of Winkler Knives, Knifeart.com provides fast free shipping in the US and a satisfaction guarantee that never charges a restocking fee in the unlikely event you don't love your purchase. Made in the USA.